Download our fact sheet on Pollinators & Pesticides and learn the facts. You can make copies and pass them out to your friends and co-workers, at your local farmer’s market, gardening or beekeeping club. Don't forget about our native bee species! Take the BEE Protective Pledge and stand up for bees! Learn which common home and garden pesticides are harmful to bees. Make your backyard or garden a safe place for bees and pollinators by choosing pollinator-friendly flowers to support healthy hives. Follow bee-friendly alternatives to manage pests and ensure that your landscape is healthy for pollinators. Visit Beyond Pesticide’s website and learn about managing various landscapes with pollinators in mind, including home gardens, roadsides, grasslands, forestland and agriculture. Want to make your town pollinator friendly? Use our model resolution to transform your city parks and raise awareness about this important issue! Bring BEE Protective to your campus! College campuses can make great pollinator habitats. Use our model resolution to declare your campus pollinator friendly and join a movement of students across the country! After you've taken the BEE Protective Pledge yourself, share it with your friends and family! 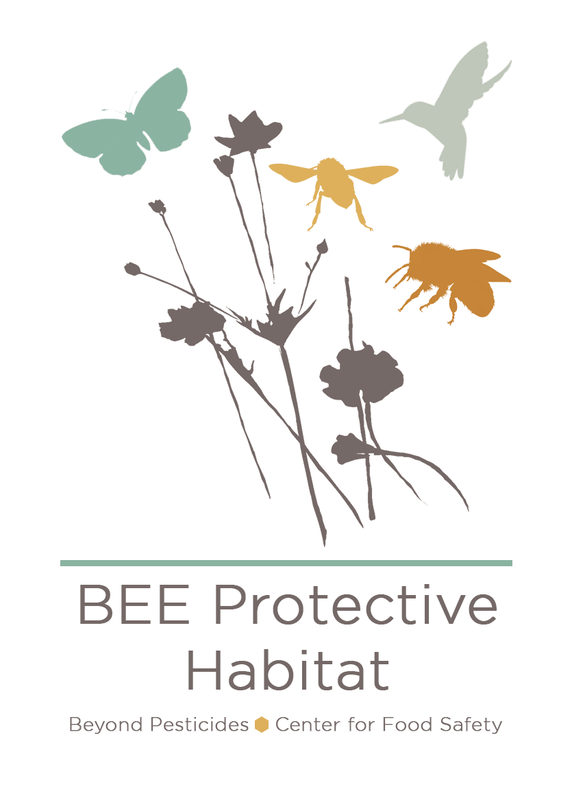 Follow us on Facebook and Twitter for up to date information about BEE Protective!